MYOB- make your own booze, that is. 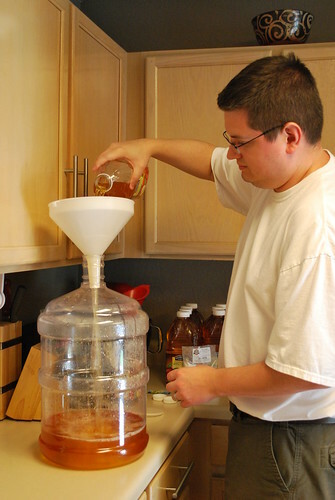 Austin found a thread about making your own hard cider and we couldn't believe how easy it appeared. After further research, he found a local brewing store where we were able to pick up all the necessary gear with the guidance of very helpful staff. 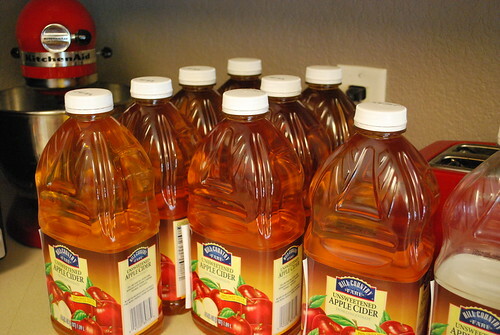 Add in the five gallons of apple juice, and the budget is still well under $100. We poured the juice with some sugar into the sterilized jug (aka "car boy") and added yeast at the end. 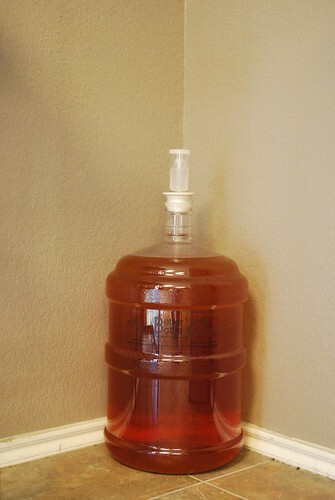 Then you've got five gallons of cider mixture that will ferment into hard cider in the next month. Five gallons. I think it will be our Halloween potion; feel free to stop by for a trick and a treat (and I'm especially looking at Bad Z here). Cannot wait to taste it!